The road trip to northern West Bank continued on June 12. Our third stop was at the Jenin Refugee Camp in Jenin. First, a small bit of history. On April 1, 2002, as part of Operation Defensive Shield, the Israeli military entered the Jenin Refugee Camp with infantry, commando forces, assault helicopters and armoured tanks. They said the camp “served as a launch pad for terrorist attacks on Israeli civilians and Israeli towns and villages in the area.” Between 52 and 54 Palestinians were killed, along with 23 Israeli soldiers. The central area of the camp was completely demolished. (http://www.youtube.com/watch?v=9Zbz-JngG5c&list=TLE-jqEHcJiZg). We went to The Freedom Theatre to learn about how drama is being used as a form of cultural resistance to the occupation of the West Bank. 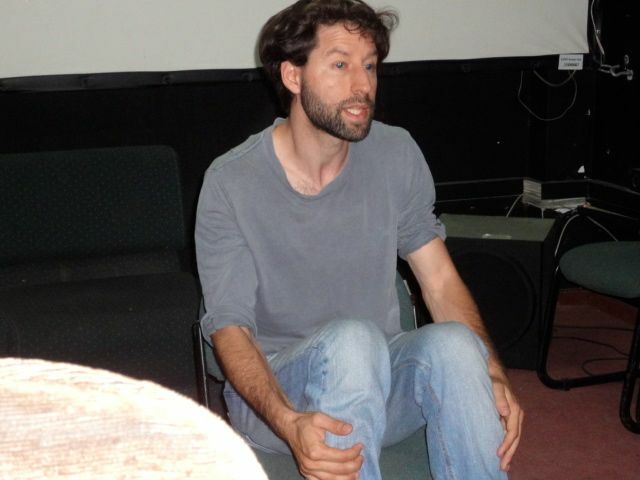 Managing Director Jonatan Stanczak, a citizen of Israel, gave us the history and talked about the recent productions. 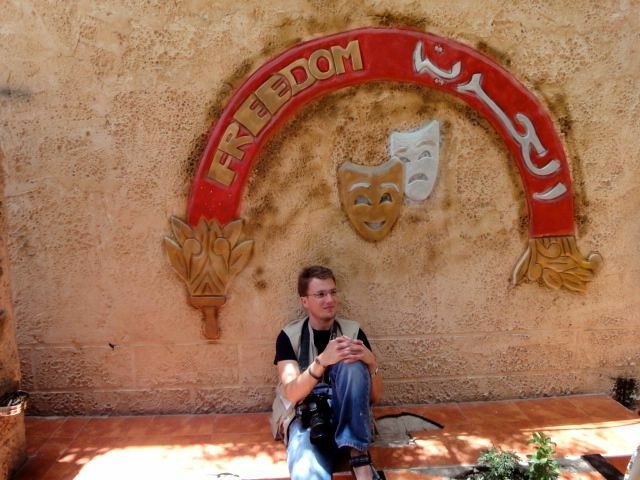 The Freedom Theatre emerged from a project, Care and Learning, created by Arna Mer Khamis, a Jewish woman who dedicated her life to helping traumatized children in the Jenin Refugee Camp through art and drama. Her legacy lived on through her son Juliano Mer Khamis, a film maker, who founded The Freedom Theatre. He was murdered in 2011 by unknown assailants. The plays produced by this company often reflect, comment upon and challenge the realities of contemporary Palestinian society, while exploring various forms of artistic expressions. They include: Suicide Note from Palestine, The Island, Stolen Dreams and the Caretaker. For more information click on this link: http://www.thefreedomtheatre.org/productions-productions/ . 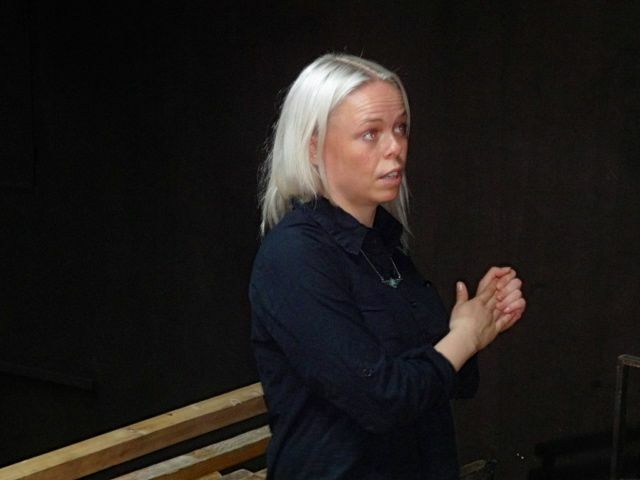 Helga, from Norway, is helping with the production of the next play, as Palestinian actors are learning their parts in English. We stopped for a forgettable lunch on the outskirts of Jenin and then traveled to historic Sabastiya, the last stop on the northern teams’ road trip. This entry was posted in Northern West Bank, Palestinian Families and tagged Arna Mer Khamis, art and drama, Battle of Jenin, cultural resistence, Jenin, Juliano Mer Khamis, The Freedom Theatre, West Bank. Bookmark the permalink.